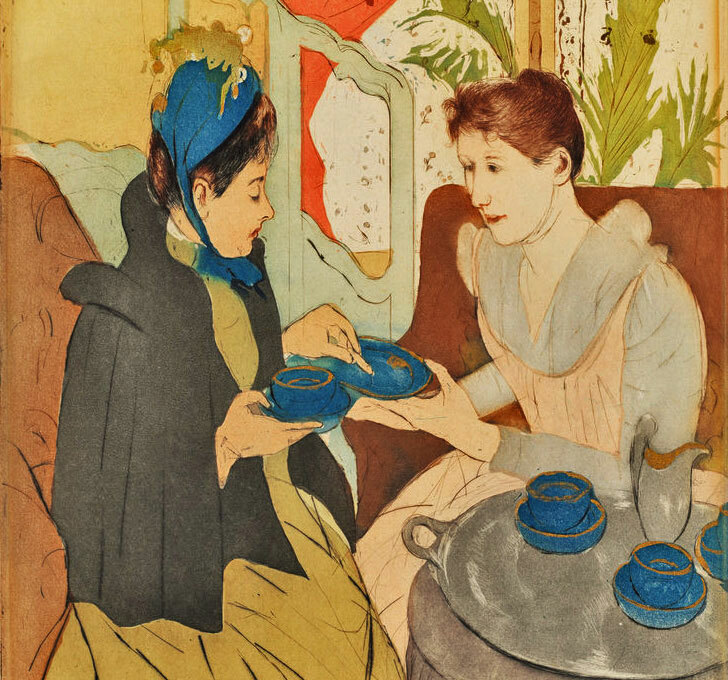 Posted on November 16, 2014 by Holly K.
How can you make the best cup of tea possible? Well, knowing your way around your teas helps, as does having your teapot, kettle, and infuser and a dab hand at steeping. But I’ve found that as I sip, having a certain mindset will make any cup, even a less than perfect one, a rewarding experience. Try everything! (Within reason.) Try sample sets! Try teas you’ve never heard of before! Try teas that you think you’ll hate! Try teas that you think you’ll love! Try everything! One of the only downsides of getting more experienced with tea is that once I figured out what I liked, I stopped trying everything and started shopping for teas that were similar to what I liked. I have to make an active effort to buy teas outside my normal roasty-malty-smooth-sweet black tea realm, but it’s worth it to learn about teas I would never have tried otherwise. Celebrate on your own tea experience, not self-comparison. When I don’t know what to expect from a tea, I often read other people’s reviews to know what flavors to expect, but I usually end up tasting something else. That is fine. Different people taste differently because of our individual sensory differences as well as life experiences, expectations, associations with particular flavors and aromas, and likes and dislikes. As David Duckler says, if you hear that a tea is supposed to taste like apple but you’re getting orange, don’t worry about the apple. Enjoy the orange. Don’t feel like you’re “supposed to” like/dislike certain teas. On the flip side, while researching my pu erh post, I read a few articles written by connoisseurs who turned up their noses at the earthy, mossy, damp-woodsy taste of “inferior” pu erhs. As I happily sipped the earthy, mossy, damp-woodsy pu erh that I’d thought was high quality, I decided I really didn’t care what they said. Teas that taste like dirt are my happy place because I said so. Be quick to appreciate and slow to criticize. The more time I spend trying teas, the less I want to be a tea critic. The first time I tried a sheng, I wrote off shengs entirely. It was too bitter, it tasted metallic, I had no idea why anyone liked it and shengs weren’t for me. I got a few comments asking if I had rinsed the leaves before I’d brewed it. I hadn’t. I made the sheng again, this time rinsing the leaves and steeping them in a gaiwan (which I’ll cover in another post.) This time, the bitterness was gone, and the flavors were nuanced, unexpected, and much more enjoyable. I still don’t like shengs per se, but I know why other people do. Basically, drinking tea is about finding beauty and positivity. There are a lot of variables involved in tea, so if you don’t find beauty right away, experiment. 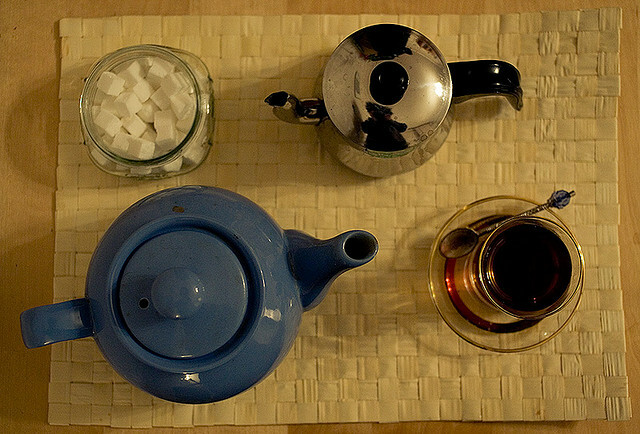 Change the water, try preparing it differently, or try the same tea from a different company. If nothing else, you’ll be getting experience! Since we compare teas to foods a lot, I’ve found that knowing more foods, especially herbs and spices, increases your tea vocabulary. I’m a perfectionist, so I can get really down on myself when my tea doesn’t turn out quite how I want it. Don’t. Tea takes time, both to make and to master. It is always a learning experience, especially in the beginning, and part of that learning is making mistakes. When I made Teavana’s Sencha Jade Reserve taste like burnt turkey after steeping in boiling water for five minutes, I learned why Japanese green teas need cooler water and short steep times! Tea is the most rewarding when you focus on learning, not knowing. When I first started drinking tea, my ultimate goal was to be able to talk about every single kind of tea in the world, as if I was a tea encyclopedia with all the answers. A year and a half later, I am not a tea encyclopedia. I did a lot of research to write the posts that have appeared so far, and I’ll only be doing more. There are so, so many teas I haven’t tried. It may mean I’m not an expert, but that also means I have a lot to look forward to. There are so many good teas in the world that it is impossible to drink every single one. There will always be more to learn, more beauty to find. No matter how experienced we tea drinkers are, we are always discovering tea.